Raleigh 1992 Team Technium, Ultegra 6500 full drivetrain minus hubs which are Mavics.. The bike feels amazingly slow and dead underneath me when I ride it, stiffness isn't a huge issue for me as I ride a modern track bike the majority of the time these days.. but to give an example, over the same route with a different older heavier road bike the trip will take 40-50 minutes, on the technium 50+ minutes minimum.. I'll say it again the bike feels dead under me! I did switch out the replacement hi-ten fork that came with the frame for a nashbar CF 1" which to my knowledge shouldn't add to the dead feeling at all, I can't figure out if the frame is just too damn stiff for me? And if that's the case why is it so slow? Or maybe this is all in my head? So any suggestions? Anyone else have this problem too? Is your saddle placement the same with regard to the BB/crank? Some older bikes have very slack seat tube angles, particularly compared to track frames. If your saddle is further back in relation to the BB, that could account for some the sluggishness. Track frames in general tend to have steep angles, short chain stays, which make them feel quicker. Both road bikes have the same fitment,saddle fore/aft/bar height, and same crank lengths. The track bike is different fitment but the geometry is very different. Good thinking though. Do they have the same tires? No the older bike has cheap conti's.. the Technium has Velo somethingorother tires hand made in italy, both are 700x23 though, I run them both the same PSI as well. Outside temperature? I find under 40 most everything starts feeling sluggish. I made the diagnosis pre the winter cool down so that shouldn't be a factor, now that I have some down time I'm hoping to correct the bike rather than sell it. Try swapping the tires and see if the bike still feels the same - swapping the wheelset [w/tires of course] if possible is even better. Tires make a difference, but so do wheels, particularly if undertensioned. After your first reply you got me thinking I should switch the tires at least. The older bike is 7 speed though and the technium is 9, I do have another nice riding 9 speed though but the wheels are much heavier.. still if it's the wheels that should illuminate the problem nicely. Great suggestion. I owned a Technium for a short period of time and felt the same as the OP. I sold it and have not owned an aluminium bike since. I had a Raleigh SP1000 which was like a high end technium. The rear stays were steel and the front triangle was bonded titanium to the steel joints. I road it for two years, once to twice a week, with dura ace hubs, mavic rims, in other words a decent setup. I always, felt like it was a deadish ride as well. I think it is bonded frame. 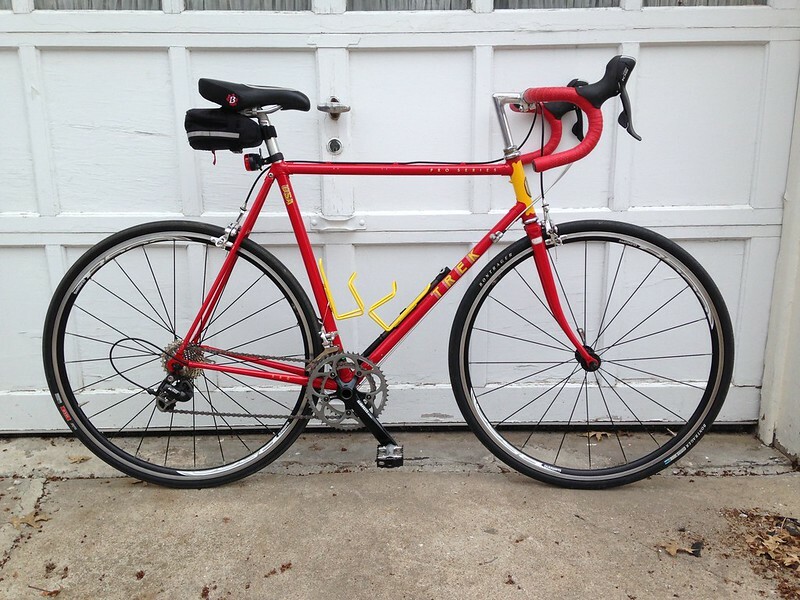 I ride an old lugged Trek 560 with Reynolds 531 now and the ride is night and day different. I couldn't tell you why. I did switch that Raleigh tires from 23c to 25c though and I can say that it did actually make a difference in feel, but the lugged Trek is definitely a different feel. I think it is a by product of bonded triangles. After my ten year college reunion, I had a weekend date with the "dream girl" of my freshman year. To be tactful I won't comment on the ride, but the dreams were better! Exactly the kind of answer I was hoping wasn't likely, but feared was. LoL Thanks for that after Matt's bubble bursting. I have heard this comment several times from others with bonded Raleigh's of that period, I have stayed away from them ever sense. The bright side is, if you decide to make a change, you have all the components you need. And I changed to this shortly after selling the Raleigh. That's a bummer! +1 on trying a different wheelset, just to eliminate them as a variable. Perhaps the Velosomethingorothers are so supple that they absorb more of the road vibration, leading to the dead feel. That's funny how you said that, I think I said the same thing when I decided to sell mine. Looks awesome though. However, I would try tires first before doing anything drastic, it's amazing what a tire swap will do sometimes. I tried changing gears derailleurs, saddle, stem, bars... and I put different wheels on - and bang! The reason I changed wheels was that I really wanted to use some short reach brakes, but 700c was too much of a stretch- and I chose to use some *decent* 27" wheels- and that did it. I was using Pasela Tourguards on the 700c wheels and Pasela Tourguards on the 27" wheels. I thought it was a matter of the 8mm- but I think it's more that better quality hubs, decent spokes and decent rims. However, there's a big difference in what you're suggesting if you're at Ultegra 6500 all around- my "dream bike" was a Trek 400 Elance that came to me with mismatched wheels - the stock Maillard 600/Matrix in the back and a Sovos/Sun front. I knew "of" Sovos, and assumed it was decent quality. But it's not. I looked relentlessly for a 400 Elance for months. And finding this one was amazing- it was in beautiful shape. Even though it's a 400 level frame, just a step above entry level, I find this the most beautiful bike I own- and it made me a sad panda that it was such an uninspiring ride. I have "better" bikes, but this one is still very special to me and I'm really glad that it rides well now. Last edited by The Golden Boy; 11-21-14 at 09:27 AM. is the gearing and fit comparable to the other "older and heavier" bike? Gearing is different between the technium and my 7 speed Turbo, fit is the same. However, the gearing is 2x9 with an identical cassette to what I run on my 3x9 bike. That is another good thought, but I ran the bikes in the same ratio intentionally in the same conditions on the same route, still slower and dead like a log. But that does lead back to the tire/wheel swap, when the sun burns off a little haze I'm going to take her out with the other wheels. Does it need new grease & bearings? Tires make a difference, but so do wheels, particularly if undertensioned. +1. I was going to suggest checking spoke tension, which can lead to a loss of that direct power drive feeling. All bearings were serviced during build, another excellent thought though.